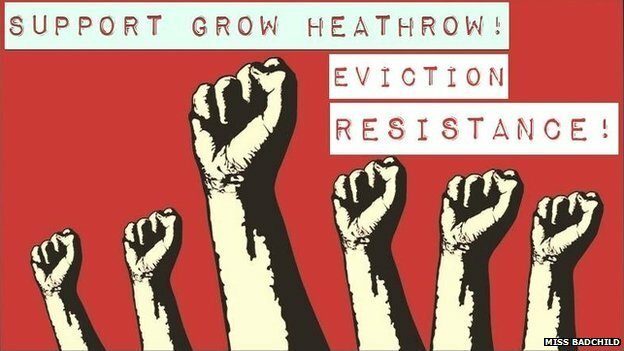 In March 2011, a small gathering took place at Grow Heathrow, a land squat set up to resist the expansion of Heathrow Airport. The site has remained a pioneering example of an RTF attitude and approach to politics. The European Assembly brought together 30 people to discuss RTF and if there was the energy to make the UK into a star of the RTF constellation. The ‘who are we’ statement resonated with many that had been engaged in food and land struggles. A small group stepped up to then organise the next gathering, which took place in Bristol in August 2011. 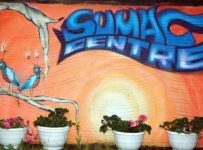 Bristol is a vibrant city with a strong anarchist culture and many growing projects. These networks came together over two days at the Factory, a squatted social-centre in the city centre. There were organised workshops, visits to local projects, an open space, and facilitated discussions, which explored about next steps for the constellation. Around 80 people participated over the weekend. Following the gathering, the UK website was born, more Land & Farm projects were identified and added to the website. 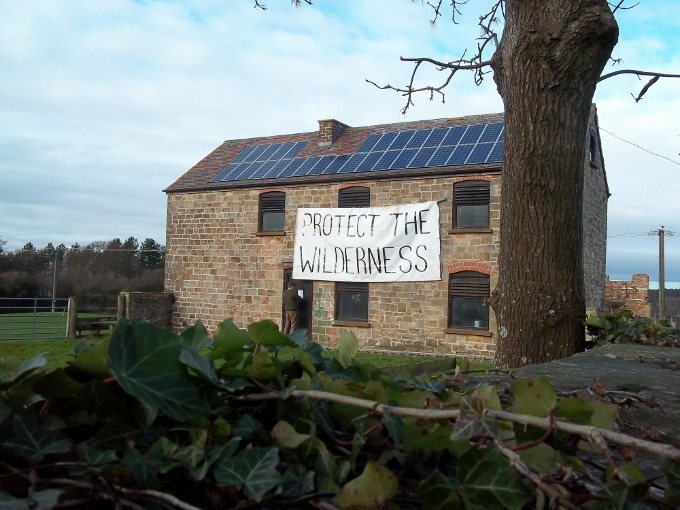 A small group formed that began squatting abandoned farm buildings over the river, who would soon occupy ‘Yorkley Court’, a 60 acre farm in the Forest of Dean, where the land ownership is contested and where the soil is abused by industrial agriculture. In October 2011, RTF met together at The Land is Ours Gathering, an existing network of people working on land rights in the UK. A strong connection with the old guard and the new school was formed in the land rights movement in the UK. In the Winter 2011, Grow Heathrow became a ‘winter base’. From this gathering emerged the WOOLF network. This is called ‘woofing with teeth’ and was started to create learning opportunities at radical projects, where skills not only relating to food growing, but also political struggle, can be shared. 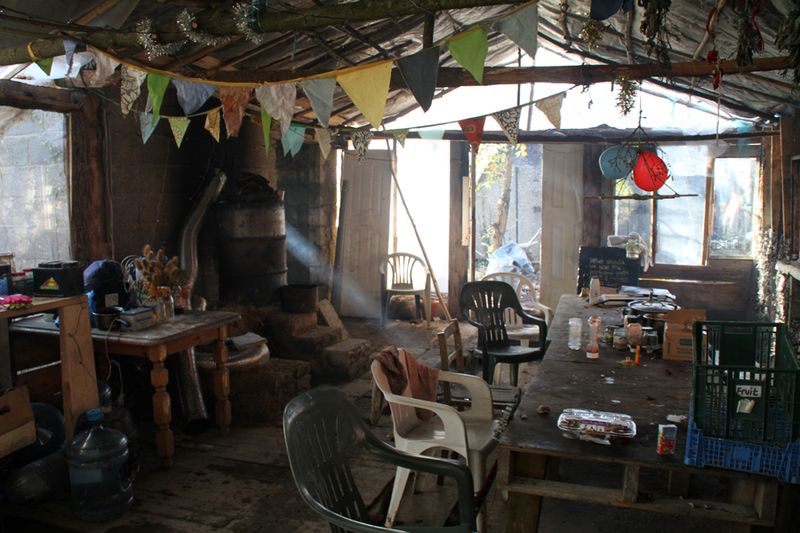 A reclaim the fields group also began living in the woods squatting ‘The Wilderness Centre’, an environmental education centre owned by the local authority and closed due to austerity cuts, in the Forest of Dean, in the South West of England. The site received much media attention and local support. A RTF UK Spring Gathering was organised in March 2012. 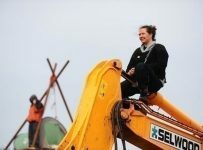 Two days before the gathering was to begin the Council gained a possession order from the courts and so during the gathering the site was under threat of eviction. This meant that the workshops focussed on building barricades, resisting arrests along with other more usual workshops. However many from around the country still came and did their best to learn and share together. With an awareness that most activities were in the south, in the Summer of 2012, organisers in the constellation arranged a gathering that took place in Darlington, Durham, in the north of the country. More than 70 people travelled to the biodynamic farm that hosted us. There were numerous workshops, moving conversations and ideas for action. In a cold Spring 2013 another gathering was organised in the Forest of Dean, this time at Yorkley Court. The gathering had a different format, and become more of an action camp, with a DIY or die ethos, where people could learn practical skills to support the land occupation, such as building structures and stoves. 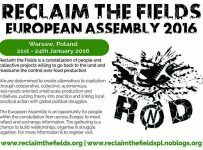 Finally in the summer of 2014, Reclaim the Fields Scotland organised a gathering to mobilise the movement in Scotland. RTF Scotland have been taking action on land rights, supporting community food growing projects and creating a network of those interested in getting back to the land for the past three years. Land rights in Scotland are more in public awareness, with many learning about the Highland Clearances, or witnessing the pattern of landownership of rich billionaires and royalty that have carved up the lands of the country. However the gathering helped to raise the profile of the struggle further. People came from across Scotland and the Islands to Monimal Tower Project, who hosted the gathering, and have beautiful gardens and food production systems in place. There is now more energy to take RTF forward in Scotland. The gatherings are obviously the most visible aspects of RTF organising in the UK, however much other work has taken place. RTFers are extremely active in their own local projects and struggles. The UK email list has served as a platform to share news and projects. Relationships and friendships have been formed that have fruited in multiple ways. RTF has had a presence each year at big food events, such as the Oxford Real Farming Conference, and the Food Sovereignty UK Gathering, as well as many local gatherings and forums on food and land. Small numbers of RTF UK organisers have also traveled to European Gatherings and Camps, such as in Romania, Germany and Italy. A number of RTFers have helped to start the Landworkers Alliance, a new organisation in the UK linked to Via Campesina. While its main focus is lobbying, its RTF sister helps it to stay aware of its radical roots and visible actions, for example, April 17 demonstrations, have been organised together. The difference in politics and tactics, however, has potentially diluted or at least distracted a number of people that were previously very active within RTF. We hope there can be a beneficial relationship into the future and solidarity. The challenges in organising however, are shared by many across borders. Each gathering new people get involved and excited, yet eventually move onto other projects or priorities. A local groups network was suggested but not formalised. Sometimes the email list feels less responsive than hoped for. However we feel we can only measure our strength by our response in moments of struggle. In June 2014, illegal bailiffs turned up to evict Yorkley Court. Call-outs went out, and people from across the country came to support and effectively kick out the bailiffs and protect the site. Emotional, material, practical and political support has come from all corners of the Island. A similar swell of support has been felt by Grow Heathrow. Many of us turn to each other in times of need, whether its help on the land, or frustration in political projects or the subjugation of wage slavery. The fact that RTF exists gives hope to many and strengthens us all. We are very aware of our niche in the more liberal food sovereignty movements, however the ‘who we are’ statement acts like a mirror for the politics in our hearts and we are committed to struggling against capitalism, not fitting within it.